“There is loooaaaads of wind! For sure!” “But there are no other kites over there on the other side!” “Just take a 14m, you’ll be fine.” Just: Why didn’t anybody else have the same idea to take a 14m? Hmmmm….this was when I met “Orisina”, the even lighter sister of “Ora”. 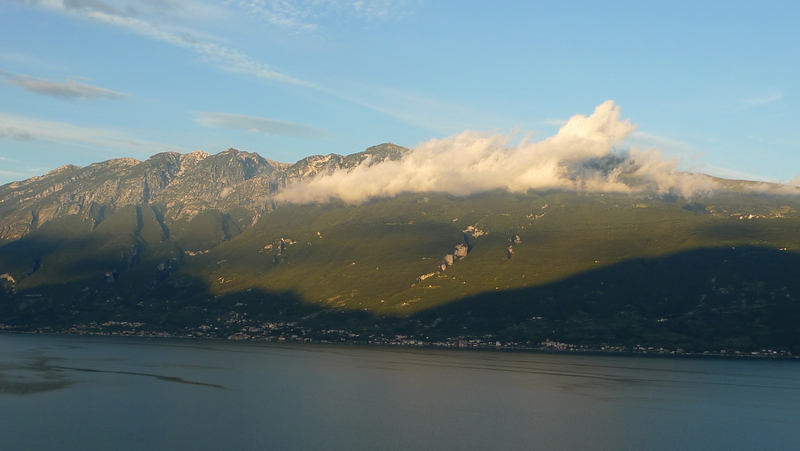 If you ask the Lake Garda supporters, you might get the impression that there is storm every day. Yes, e-v-e-r-y single day because of the thermal wind in combination with the nozzle effect. In fact, it’s not. At least for the lighter afternoon wind, the “Ora”, you should be prepared to take a bigger kite. The morning wind, called “Vento”, “Peler” or “Suér” is mostly stronger and often brings more swell. Its little brother is the “Peleri”, its stronger brother called “Pelerot”. The weather system at Lake Garda is very unique and complex. Depending on conditions in the surrounding mountains, the back country etc., also other winds like Bali, Ponale, Vént da Mut, Vént dé la Val, Vinessa, Fassanella, Montes, Ander and Vént dé Tép are typical. 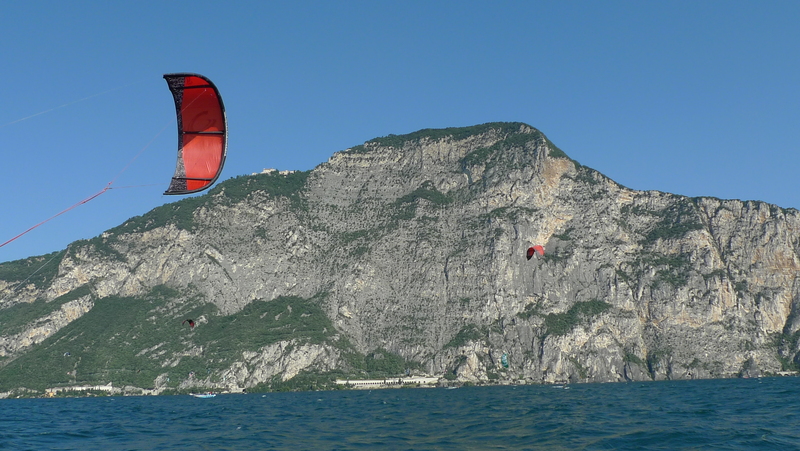 Ora and Vento are the predominant and most important winds for kitesurfers, though. There are a couple of locations where you can launch your kite from shore, su ch as Campagnola and Malcesine North on the East coast or Campione on the West coast. The area from Navene northwards is dedicated to windsurfers, and kitesurfing is forbidden. Kitesurfing from shore is also possible in Navene itself, but allowed only during Ora hours. All of these “beach” zones are tiny to launch your kite and very busy, and if you end up anywhere else on the coast, you’ll have to pay a fee of several 100 Euros. That’s why most kiters prefer to get a lift by boat. You set up your lines on land, the kite will be pumped up from the boat when out on the water. The wind is mostly strongest next to the steep rock walls on the West coast. That’s why the boats from the East coast have the longer way. Kitesurfing by boat, cool thing, yippieahyey? Well, tempting at first sight. I would say, defini tely different. The good thing: Lake Garda is huge, and even if you only take the kiteable zone, you mostly have enough space on the water if you go by boat. Disadvantage for beginners: They are spoilt in a way because they don’t learn how to set up their gear depending on wind conditions and directions and accordingly launch their kites on the beach. That’s a crucial part of the lesson missing. But as there is some good chance for flatwater, it’s not the worst place to get them on the board. For advanced kiters, it’s sunny-shiny-nice. It can be dangerous, but you would rarely go out in these conditions due to special and sometimes un predictable Lake Garda effects. The sometimes very light wind and moving wind windows are tricky if you haven’t expected it. It has happened quite sometimes that kiters didn’t get their kite relaunched. What I personally don’t like is that whilst you are used to be responsible for yourself when kiting from a beach and able to assess the risk you are willing to take, you give up responsibility completely to the people on the boat at Lake Garda. You are stuck on the water with no beach insight until the boat is back. It is definitely an advantage if the person on the boat is reliable and knows what he or she does. Have a look at www.kiteschool.it. Marco provides an honest opinion about local conditions, very good and effective teaching via radio helmets and a fair pricing. For example, when you go out by boat and there is not enough wind for kitesurfing at the end, he won’t charge you a complete lift, but go for a cost sharing. It’s the little things that matter and make it fair, just try it. East coast – West coast…well…you have the evening sun, chilly atmosphere and more tourists on the East coast. 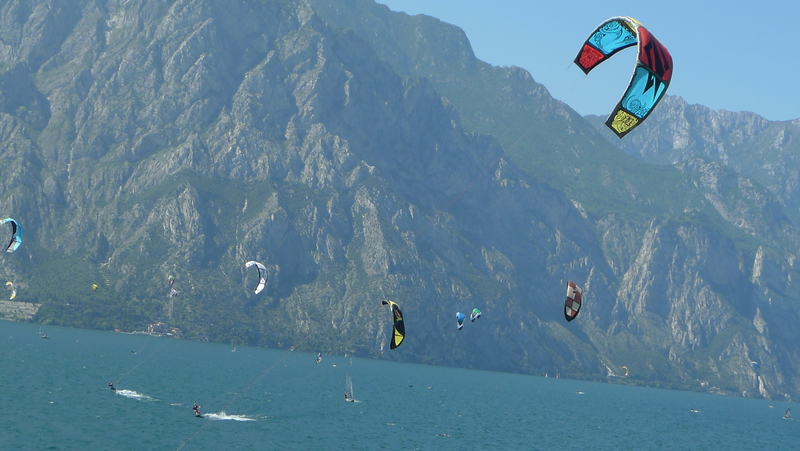 And you are on the right side for wind on the West coast, with an atmosphere for those chasing the not-so-common – which is not very easy to get at Lake Garda anyway. 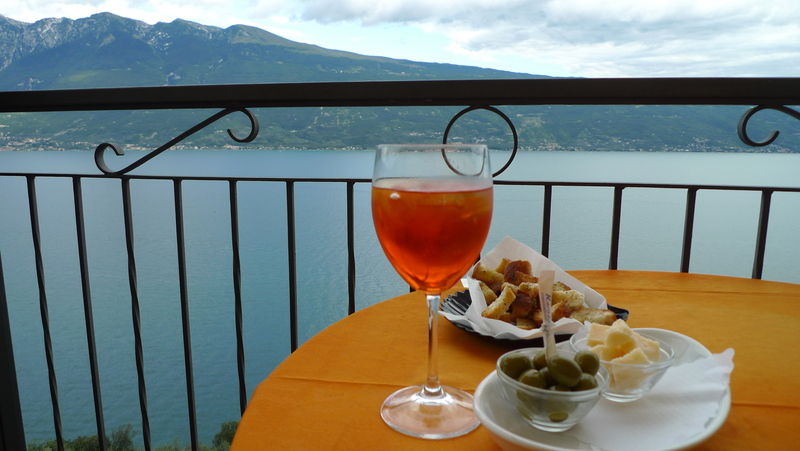 The lake and surrounding areas are an outdoor paradise, with climbing, mountainbiking, windsurfing, trekking, sailing…not to forget the excellent Italian food and wine. 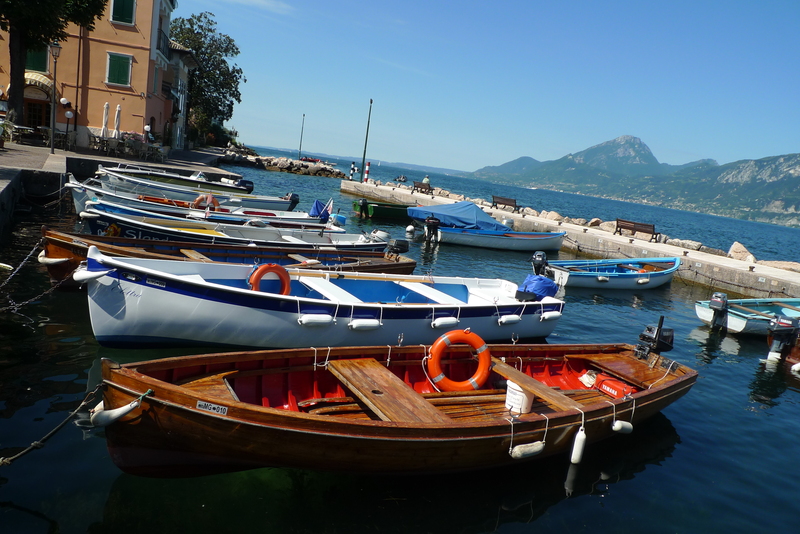 It is definitely hard to have a bad time at Lake Garda, but it’s diverse. Give it a try and build your own opinion!